Virtualisation is a software technology that is transforming the IT landscape and in turn has created radical changes in computing. While most of today’s computing hardware was designed to only run one operating system at a time, virtualisation helps businesses overcome this limitation by allowing a single system to run several operating systems simultaneously, increasing its usage and flexibility. With virtualisation, users of VMware software save time, money and resources while optimising and rationalising their IT infrastructure. These advantages and savings explain the growing rate of virtualisation in business environments. While there are space saving, environmental and cost benefits to virtualisation and server consolidation, having all your data in one place can leave businesses vulnerable to experiencing substantial data loss. 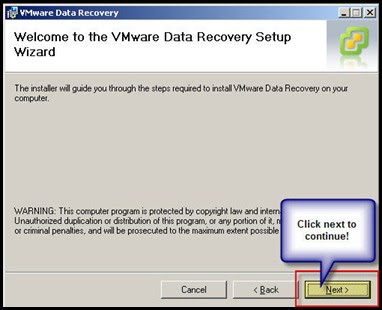 VMware Data Recovery Appliance (vDR) – vDR is a virtual machine that facilitates backup and comes with vSphere Client plug-in. 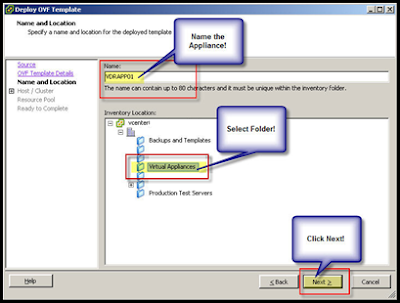 Works with ESX “Classic” and ESXi to backup VMs which allows for the backup of the VMs files. Support for advanced features such as compression of de-duplicated data. No network hit when used with shared storage. In the beta release there is no support for backing up individual files within the VM – and this feature will be only “experimentally” supported at the time of the vDR’s general availability. However, after the first backup – all subsequent backups are merely the delta changes within the virtual disk – using special change block tracking functionality available only in VMs with Hardware Level 7. 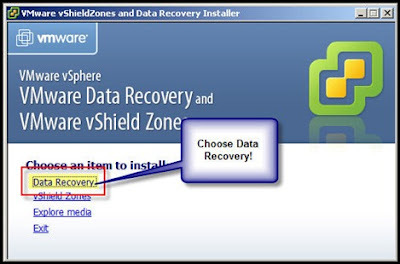 What were our backup options before VMware’s Data Recovery? 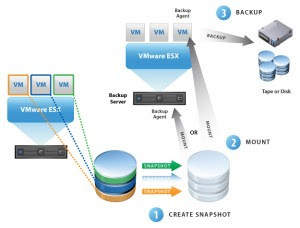 Backup and restore of VMware virtual infrastructure, in my opinion, has never been very easy. 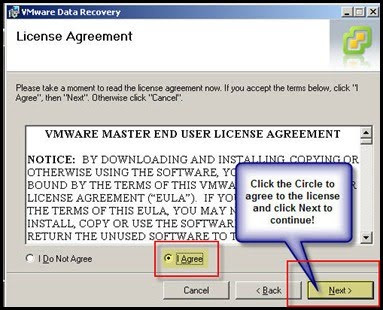 VMware has never offered its own backup application, and no, VCB is NOT a backup application even though it is called “VMware Consolidated Backup”. VMware Consolidated Backup actually does not backup or restore anything. All VCB really does is to provide you access to the VMFS file system to allow you to use some other method of backup and restore on your virtual machines. It seems that a lot of people are getting confused as to where VDR fits in the grand scheme of things and how it differs from VMware Consolidated Backup (VCB). The user has the vSphere version 4 client and is attached to the new VCenter server. There is predetermined space on the SAN for backup storage. 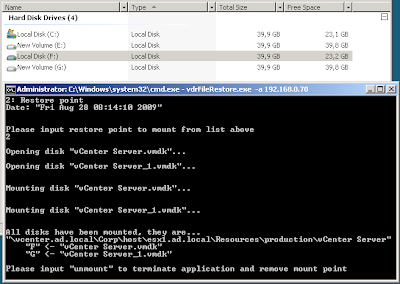 You have an open console to the vCenter server with the ISO connected to the CD drive with the Data Recovery install. 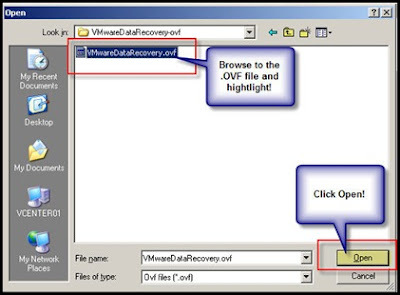 The Data Recovery ISO is exported to a directory where you can access the files from the CD. 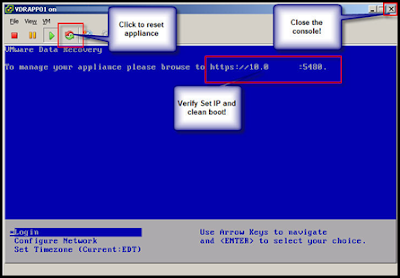 An available routed IP accessible to the ESX servers. A service account with full admin rights to servers and vCenter to use as the backup account. 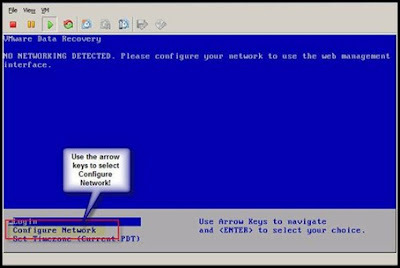 Network Share where backups will be written. 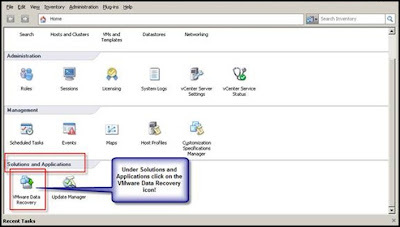 Select an IP to use for you virtual data recovery appliance that is on a VLAN that is accessible to your ESX hosts. 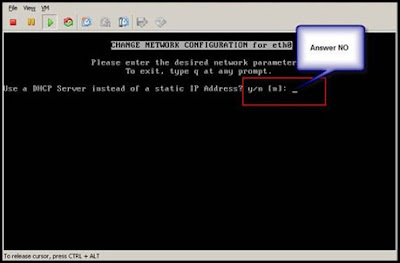 This screen can also display DHCP networking information if your segment has DHCP on it. Be careful not to change the default TimeZone. We have experienced weird issues attributed to this. 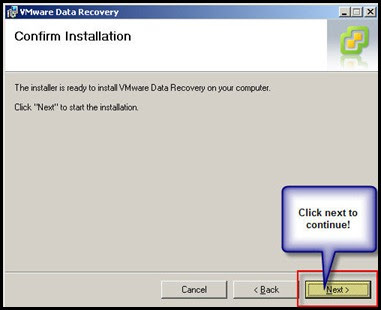 VMware Data Recovery is a pre-installed Linux appliance which is imported into your vSphere cluster. VDR has GUI which will integrate with help of plugin onto vSphere client. 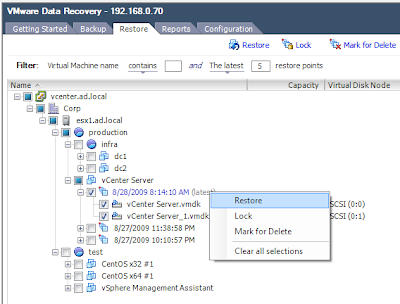 VDR backup works by creating restore points for each of your VM virtual disks you wish to backup. Restore point is kind of full copy of virtual machine state at that current point in time when backup was created. 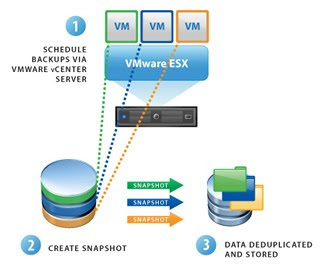 VDR utilizes de-duplication on backup storage and it is very efficient to save backup storage space. 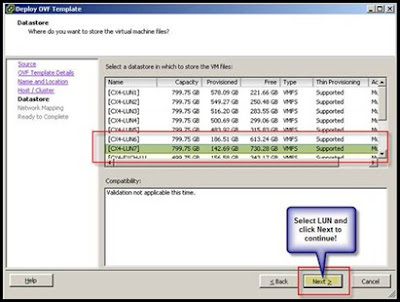 VDR can use CIFS share or virtual disk as backup medium, that makes restoring data very quick. There is no support for tape backups. 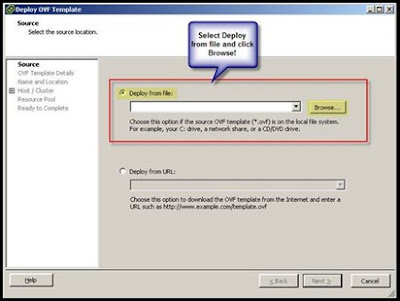 FLR client works by mounting restore point into Windows VM as read only disk, from that disk you can restore invidual files or whole directories by copying them with standard Windows explorer. To start using FRL download and copy vdrFileRestore.exe into your Windows VM, place it into some directory and make sure it is on PATH environment. 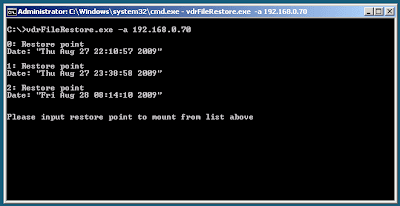 Make sure you have restore points available for you VM and execute vdrFileRestore.exe -a “IP or DNS name of your VDR” on Windows command line. FLR client uses unique BIOS id to identify which restore points it should make available for mounting for each VM. After you selected restore point FLR client will do some of its magic and backup of your Windows drives will show up in your VM as additional drives, FLR client will tell you which drive backup is available at which drive letter. After you copied files you need, type “unmount” and press enter. This will close restore point mounts and FLR client will exit. 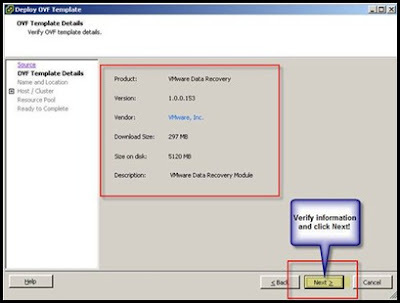 The VMware Data Recovery is an Agent-less disk based backup and recovery solution that can perform virtual machine or file level restores of Windows or Linux guess OS’s. It performs incremental backups plus data de-duplication and compression to save disk space. 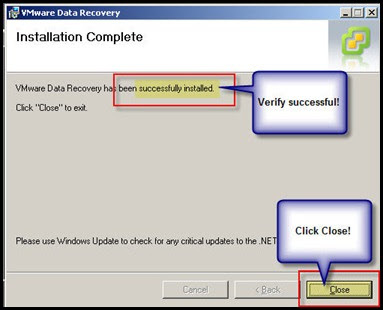 Data Recovery supports any disks that are accessible by the Data Recovery appliance. 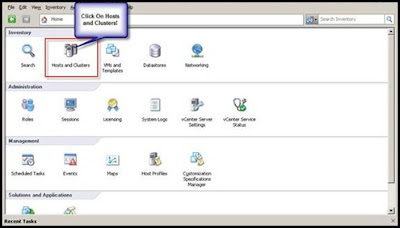 The disks could be in a VMFS volume or on shared disks such as NFS, DAS, iSCSI, Fiber, SMB\CIFS Shares. 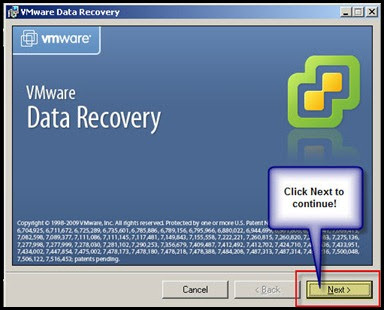 There's been a lot of talk about using VMware Data Recovery with ESX 4 and vSphere and what it does and doesn't do. We'll get the negatives out of the way first. vDR isn't a VCB replacement so if you still need a VCB proxy in your environment that will still need to be maintained. vDR doesn't write directly to tape. vDR's de-dupe technology is target based.. Therefore, you will experience disk space savings but all those redundant blocks will still be sent over the network.